As the Internet fast forwards into every aspect of life, and a growing number of people have access to it on an everyday basis, with the development of ICT, the importance of documenting and archiving diigital practices increases. The dynamics of expressing and experiencing personal and group identities with the advancement of technologies can only be understood when digital material becomes tangible and accessible, and the accessibility of data varies over time and service, becoming an increasing issue within Internet governance debates and laws. The project Identifikuj me collects the experience and works of different social science, art, technology an activism individuals and collectives into an interdisciplinary exhibition, publication and discussion, with the intent of publicly opening these questions from diverse contexts, historic as well as contemporary, and shed light on identity and privacy challenges, borders and shapes in the technological society of today. Spaces of identity practices will include topics such as anonymity as identity, offering potential for collectivity, which in return questions notions of authorship, cenzorship as forced identity, including various TOS policies, the question of personal data as identity in regards to privacy vs profit, conflict as identity, especially in the context of growing online misogyny, the technological aspect of gamifying personal identity practices and prosumption, as well as changing perceptions on hacker identities over time. Identifikuj me is realized as a group interdisciplinary exhibition with a film program in Gallery 12 HUB in Belgrade, Serbia, film program and a public discussion, mapping out streams of thought in online identity practices. 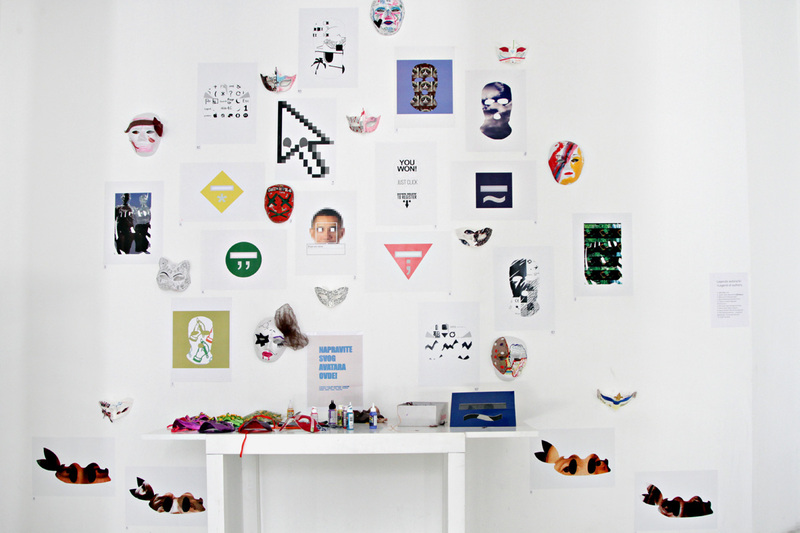 The show is open from 17-23rd of Dec in G12HUB, followed by an exhibition of digital identity masks received through an open call, as well as created during BeFem festival 2015. The space will keep a working area for identity creation, open for visitors. Folowing film program will function as a mini cinema, which will show one film per day (the whole day continuously). During the show, 21.12. at 19h, with participants active in internet governance and law, activism and art (Vladimir Radunović- Diplo fondacija, Milica Gudović – Women at work, Kristijan Lukić- Napon institut) there will be a public talk on the topic of technological identities informed by society and social identities informed by technology. This show is dedicated to Branislav Jovanović (Wikimedia Serbia, Hacklab Belgrade), a dedicated fighter for open knowledge. The project is supported by Reconstruction woman's fund, in partnership with G12HUB and BeFem festival.